WAUSAU, Wisconsin (May 18, 2016) — Furniture, household goods and even all-terrain vehicles, plus numerous other items in unpaid vaults, will sell in a live auction, beginning at 10 a.m. Tuesday, May 24. Thomas Hayward Auctioneers will conduct the auction for Graebel Van Lines’ Wausau facilities, located at 7333 West Stewart Avenue, Wausau. “The auction will include the contents of unpaid vaults. There are always a lot of surprises, so it’s a lot of fun and can be very profitable for bidders,” said Hayward. In addition to the items in moving vaults, the auction will include several sofas and other oversize items that did not fit into the vaults, he added. Some of the items will be bundled on pallet racks, with such items as office seating, stack chairs, desks, file cabinets, conference tables and small items. Individuals seeking additional information may visit ThomasHaywardAuctioneers.com or call 888-255-7633. 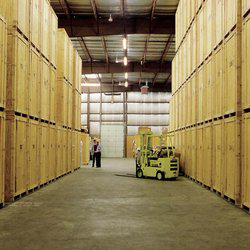 Thomas Hayward Auctioneers is a leading auction and asset disposition company that provides custom-tailored asset disposition and auction services nationwide to corporate clients and the storage industry.